Change the way your customers book lodging. Earn commissions and better serve your patrons with our white-label booking software. Your destination is unique and deserves to be treated as such. RootRez technology allows you to seamlessly integrate a branded booking engine into your existing website and highlight destination-specific attributes through custom maps, content, filters, and more. With our Central Reservation System, suppliers, inventory, and promotions can be easily managed and customized, giving your guests the best access to lodging throughout your destination. Hoteliers are able to easily share their availability and pricing with our booking engines through a variety of the connectivity providers they already use. This makes it easy for inventory to be up-to-date and for hotels to view bookings. The RootRez platform generates your company revenue by sharing hotel commissions on every booking made through your website. Alternatively, you may forgo commissions and pass the savings along to your hotels. You control the rate from 0% to 20%. Our booking engine software puts the power into the hands of the consumer. 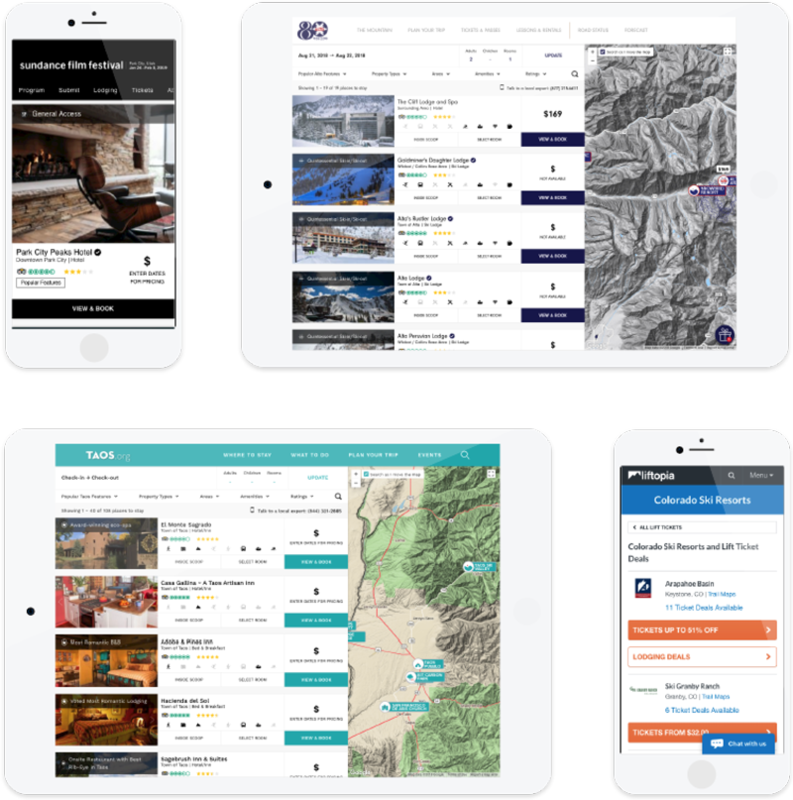 Guests can sort hotels by the factors that are most important to them, get in-depth information by locals on each property, and explore the area via custom maps, all while staying on your website. Built to be PCI compliant, branded to your website, and on a unique subdomain, your booking engine is hosted and managed by RootRez with a guaranteed uptime of 99.9%. We offer a variety of connectivity options for hotels, including several two-way integrations, global distribution technologies, and manual rate management within the RootRez Central Reservation System. RootRez was originally founded "by hoteliers for hoteliers." 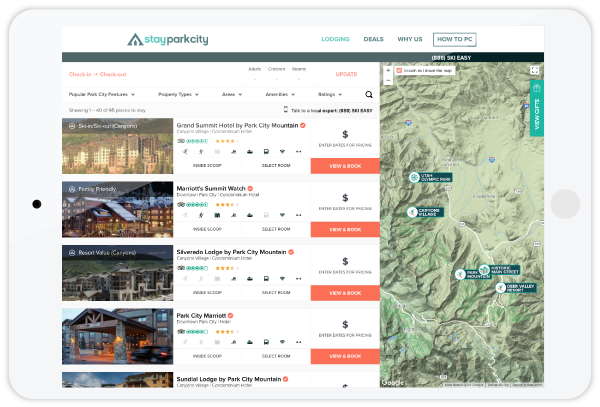 Understanding the distribution pain points of lodging suppliers, we created a system that's easy to connect to and free to list with, driven by a production only pricing model. The hotel is the merchant of record and can manage all reservations according to their policies. Your booking engine will be built in coordination with your brand guidelines. All content, maps, and filtering options are customized to suit the most popular guest needs as they relate to you as the partner, the destination, or the event. Set up one-of-a-kind promotions, discounts, and more specific to your booking engine. Plus, create unique packages and value adds to further differentiate your engine from the cookie-cutter Online Travel Agencies. Branded to your website for a seamless guest experience. Explore pricing models tailored to align with your organization's goals. Choose between a RootRez-managed booking engine, which keeps you labor free, or a self-managed engine, which will increase your revenues or pass on savings to your hotels. RootRez manages all elements of the booking process, lodging market, guest interactions, accounts receivable, a 7-day per week call center, and all content creation and updates. Pricing options include a fully customized white label booking engine. Options with and without revenue sharing are available to align with your business objectives. The RootRez team will train you on how to manage all aspects of your booking engine, including building hotel listings, writing marketing content, facilitating guest interactions, and managing accounts receivable. Pricing options include a fully customized white label booking engine. Both commission-based and fixed-rate options are available.